As the (extended!) deadline for applications approaches, we look back at what previous students have accomplished with VASI, and how the program empowers young artists to mature to their craft. 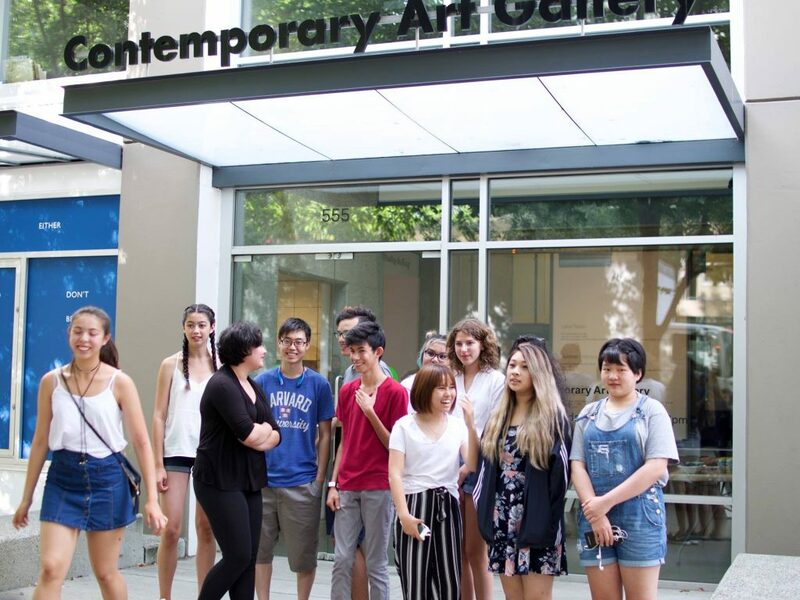 VASI, which is offered in collaboration with the Contemporary Art Gallery (CAG), pushes the boundaries of their teen students’ practice, with instructors and artists suggesting new mediums and supporting creativity. “It’s a different thing every week,” says Danielle Rozali, a past VASI student. Along with 11 other teens last year, she rose to the challenge of exploring contemporary art practices and creating an exhibition in just three weeks. 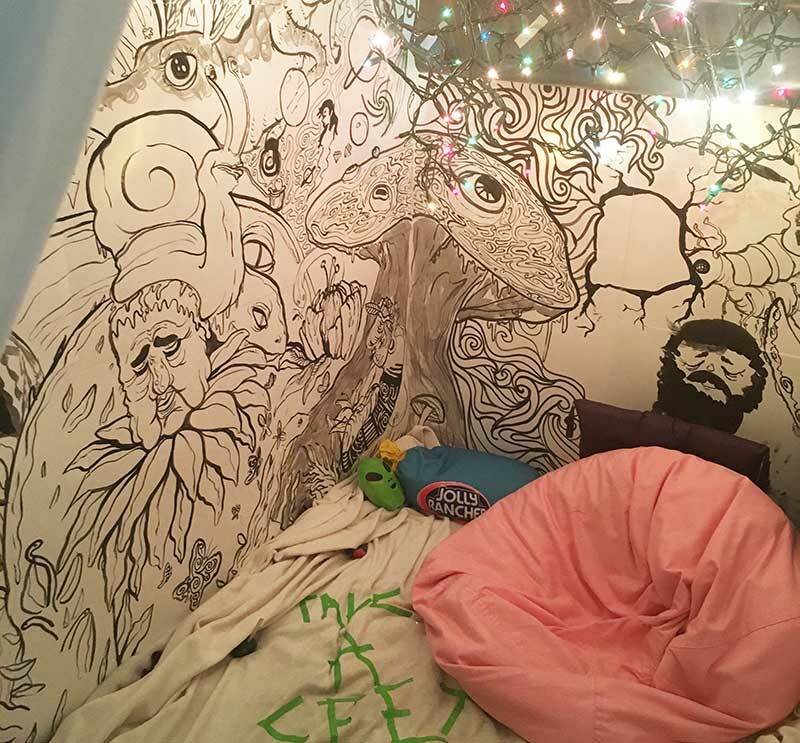 David Gorodetsky, another teen artist, asked if he could fill a room at the CAG with drawings. “My instructor just said, ‘Sure,’ —it was very empowering.” And so he did. Along with another student, David and Danielle transformed a small space under a stairwell at the CAG for their fall exhibit. A magical pocket of floor-to-ceiling illustrations, lit by decorative lights, and made all the more intriguing with a peekaboo curtain, the experience for gallery-visitors was distinct and engaging. Getting the opportunity to exhibit at the CAG is illuminating for the VASI students, but they get something more as well. There’s a confidence that comes with knowing your ideas will be nurtured and explored, rather than turned aside. It gives you a chance to explore freely, without judgment. “Arts Umbrella provides a lot of opportunities,” says David. “I come from a supportive family, but not everyone does.” It’s inspiring that instructors are also practicing artists, he explains. Going to his teachers’ exhibitions has been eye-opening for the teen who wants to incorporate the fine arts into his education and career. In combination, the high-quality instruction, program partners, and community-subsidized tuition fees all contribute to the Visual Art Summer Intensive’s creative and supportive environment. For David, Danielle, and other past students, VASI fostered their sense of connectedness. “It’s definitely nice to be part of a community,” they say. The shared experience also helped many students to build the confidence needed to embark on new creative challenges. “Arts Umbrella pushed me further in my art and in myself, to explore more than just the generic opportunities presented to me,” says one student. Are you ready to challenge your artistic vision? 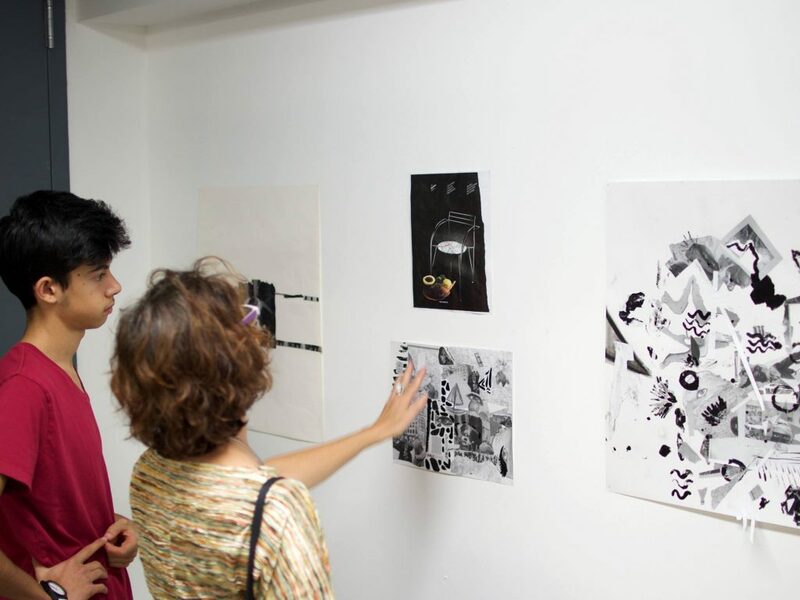 The Visual Art Summer Intensive is accepting applications until June 18, so download the form and gather your portfolio pieces. A summer of new creations awaits!